Do you want to dedicate your fitness and exercise endeavors to God and His will for your life, but you aren’t sure exactly what that means or how to go about it? Do you feel guilty about your lack of physical activity? Maybe you feel like your attempts at moving more and trying to get fit are so small, they are not worthy of even talking to God about it. Use these 7 Christian Fitness Affirmations to change your thinking about your health and physical activity. My friend, allow me to encourage you today. Whether you are in great physical shape or walking down your driveway is difficult for you, God cares about your physical activity and daily movement. No matter where your fitness level, all of us struggle to balance finding peace and contentment vs. wishing we were more improved. Because of my 100 pound weight loss 10 years ago, I have experienced a wide range of physical fitness levels during my life. I’ve been in amazing shape (able to compete in a Half Ironman), and I’ve been unable to walk up a flight of stairs without assistance. Your fitness activities will be acts of worship when you give them to Him. Affirmations are positive statements we say to ourselves as we reach toward a goal. Written affirmations, used daily, are helpful when changing your negative thinking patterns. Frame any fitness affirmation statements in the positive. State what you want to do, not what you are trying to avoid. Why specifically Christian fitness affirmations? Many typical positive fitness affirmations are geared toward self-esteem. There can be benefit to these. (You are amazing as a creation of God!) Still, overall the focus is on you and your ability to do the work. As Christians, we have a whole new perspective. Life is not about how good you are – it’s about how good God is. 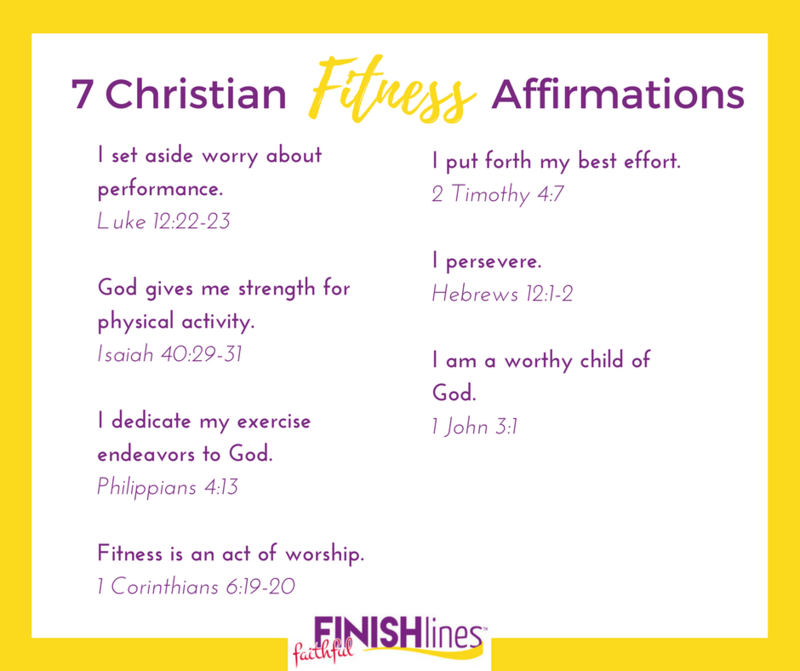 I encourage you to use these 7 Christian fitness affirmations for your journey. 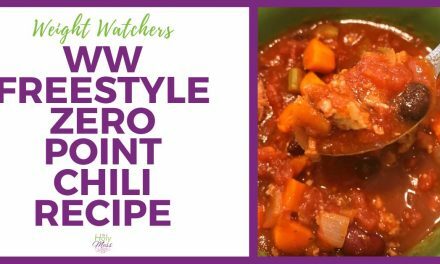 **Bonus free gift! 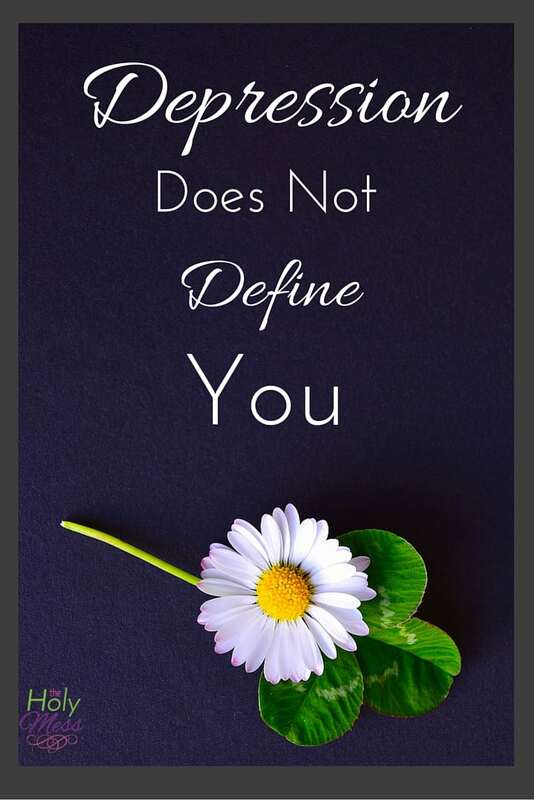 ** I’m super excited to offer you a bonus free gift of printable Christian Fitness Affirmation cards. (See below.) Print these cards, cut them out, and put them where you will see them often. I set aside worry about performance. God gives me strength for physical activity. I dedicate my exercise endeavors to God. Fitness is an act of worship. Therefore, since we are surrounded by so great a cloud of witnesses, let us also lay aside every weight, and sin which clings so closely, and let us run with endurance the race that is set before us, looking to Jesus, the founder and perfecter of our faith. I am a worthy child of God. 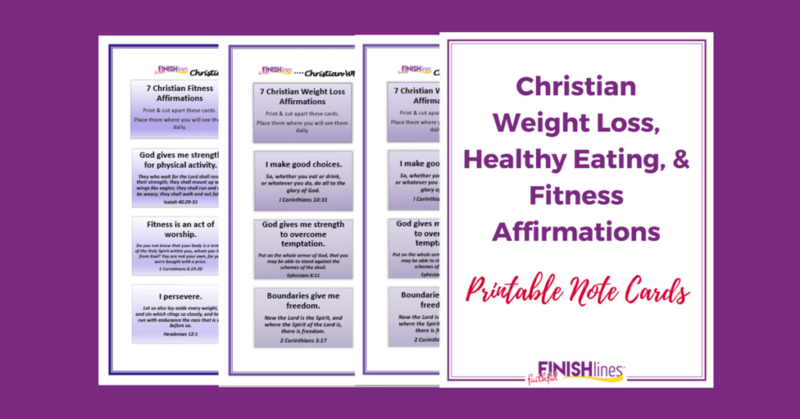 I would love to gift you with this free printable pack that includes: Christian Weight Loss Affirmations and Bible Verses, Christian Healthy Eating Affirmations and Bible Verses, and Christian Fitness Affirmations and Bible Verses. Where should I send it? How will you dedicate your fitness efforts to God today?